It pays to book in advance. Reserve a room at least 15 days in advance to save 10% off! 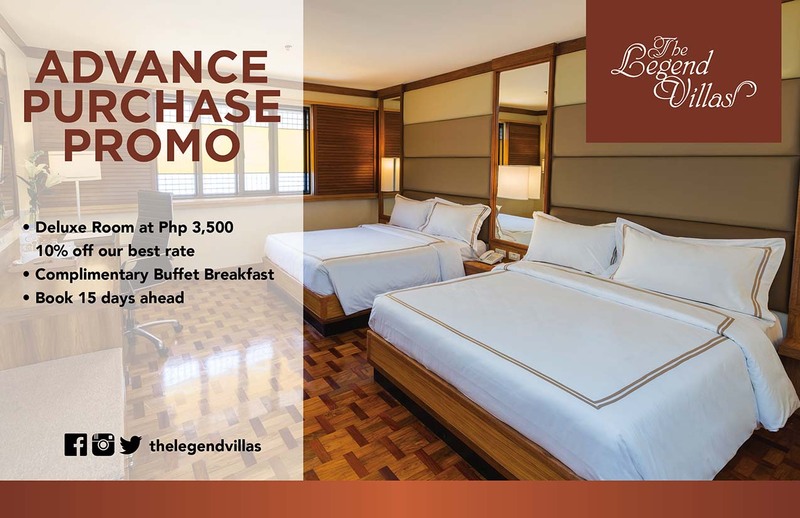 Rates start at P3,500 per night. The Legend Villas © 2017. All Rights Reserved.